Joey was a starting defender at the University of New Hampshire and helped lead the program to a school record for most shutouts in a season (11, 2007), a 5th place ranking in the NSCAA/Adidas Northeast Regional Poll (2008), and appearances in the conference quarter finals (2008) and conference semi-finals (2007). Prior to attending UNH, he captained his junior college team at Lon Morris (TX) wihch advanced to the conference quarter finals in 2006. That same year, Joey lead the team with 16 goals and 3 assists and was named first team All-Region. Joey is a native of London, England and graduated from Canon Palmer High School in 2004. 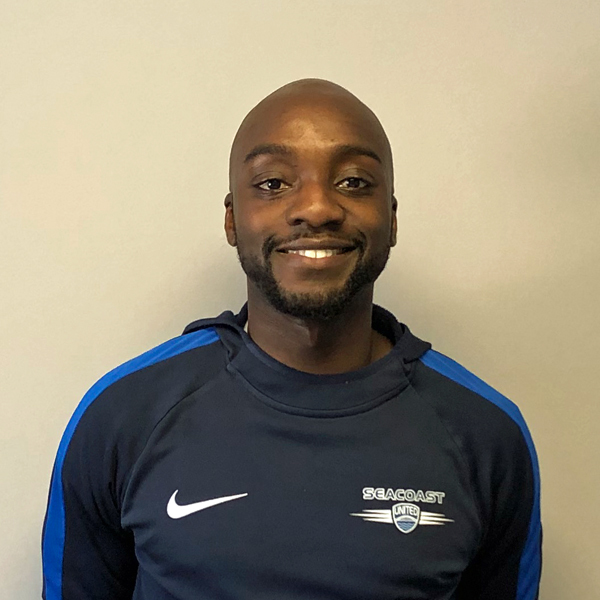 Joey has been working at Seacoast United since 2009 where he was a part time member of staff and was involved with SUSC Grassroots Programs as well as the Club’s first Junior Academy programs in York & Berwick. He became a full time member of staff in 2010 and is now the Boys' and Girls' Coaching Director for the U9-U13 age groups, while also coaching the U12 US Soccer Development Academy team. Joey holds a USSF "C" License.